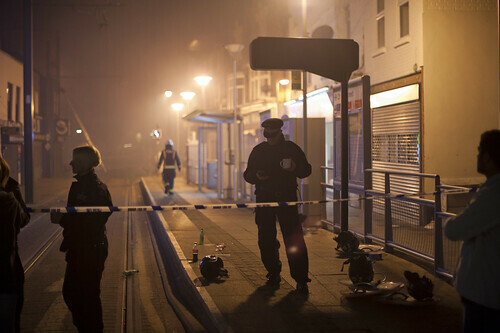 The recent UK riots, initiated in London late last week, have damaged Britain’s image as a tourist destination. Tourism officials responsible for promoting London during the countdown to the 2012 Olympic Games face a real challenge as the news of the riots hit headlines worldwide. Mary Rance, CEO UKInbound, said: “The Riots of the past few days, particularly in London, are most unfortunate for the global image of the UK – and not just ahead of the Olympics but for the country’s short term and long term inbound tourism industry. The international press, similar to our own, has been dominated by images of looting, burning buildings and police in riot gear running after the rioters. Reports on the causes of the violence differ, some say it is racially motivated, while others have indicated the economic situation and cuts as the reason; and most have pointed to the possibility of further violence during the Olympics. The rioting has spread across London and into other parts of the UK including Manchester, Birmingham, Liverpool, Nottingham and Bristol. At least 400 people have been arrested following a wave of ‘copycat’ violence. This may all seem doom and gloom, but there have been some promising signs of hope as many people have joined together after the rioting to help to clean up the mess. Social media has been blamed for aiding the rioters in coordinating their approaches, but it has also been used to arrange the clean up by following Twitter hashtags such as #riotcleanup. Let’s hope that some of these images reach the press world wide as there are far more people who appear to be condemning the acts than committing them. This entry was posted on August 10, 2011, 8:52 pm and is filed under News. You can follow any responses to this entry through RSS 2.0. You can leave a response, or trackback from your own site.